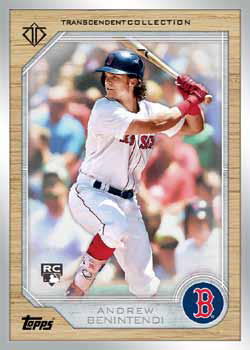 Jump directly to the 2017 Topps Transcendent Baseball checklist and team set lists. 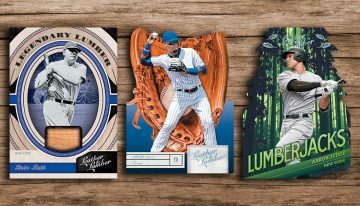 2017 Topps Transcendent Baseball is the sequel to 2016’s $25,000 per box debut. 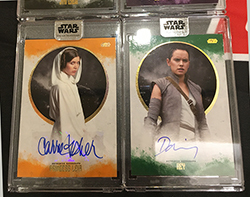 Like the original, the set pushes the boundaries both in autographs and other content. 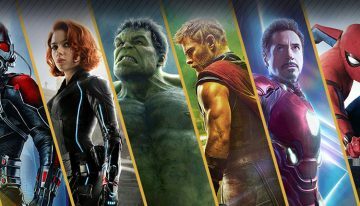 The product has a lot of the same features, but there are some new additions as well. 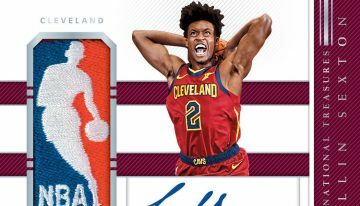 As for the 2017 Topps Transcendent party, it’s back. But it’s moving from Las Vegas to Atlanta. And instead of a legend in the making, the special guest is one of baseball’s all-time greats — Hank Aaron. 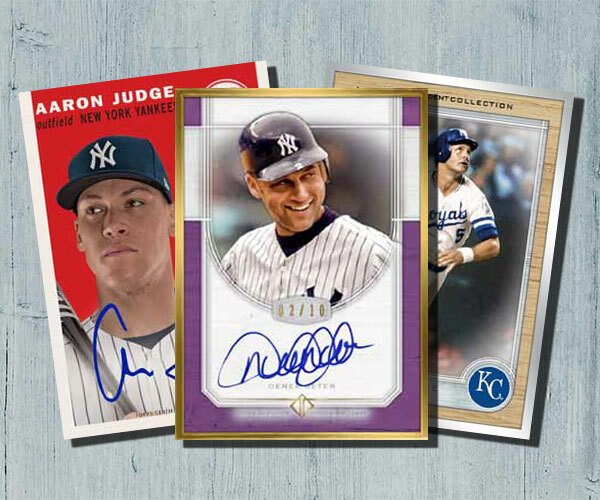 2017 Topps Transcendent Baseball is bursting with autographs once again. However, the approach is a little different from 2016. Each case comes with 50 Transcendent Autographs. Once again, they all come with metal frames. Overall, the look is similar, but the approach is different. 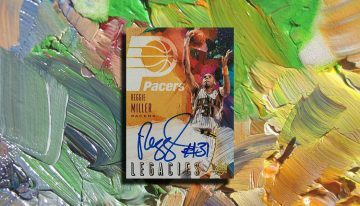 Last year, Transcendent Autographs were numbered to 52 with parallel tiers dropping from there. 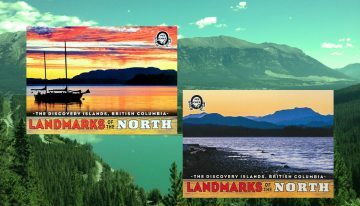 This year, base versions have 25 copies each. 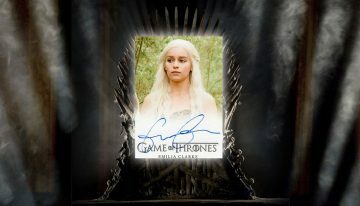 However, there are also Image Variation Autographs, which swap the photo. These are also numbered to 25. Parallels for both the base and variation autographs include Silver (/15), Purple (/10), Red (1/1) and Gold (1/1). 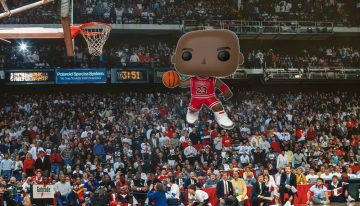 It’s not only Transcendent Autographs that are in the product. 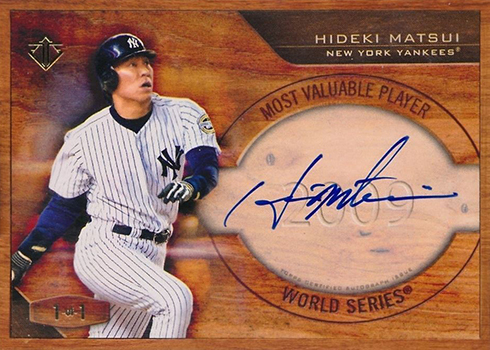 Over-sized cut signatures return at a rate of one-per case. The list of signers ranges from baseball greats like Babe Ruth and Roberto Clemente, to actors and entertainers to politicians and other historical icons. 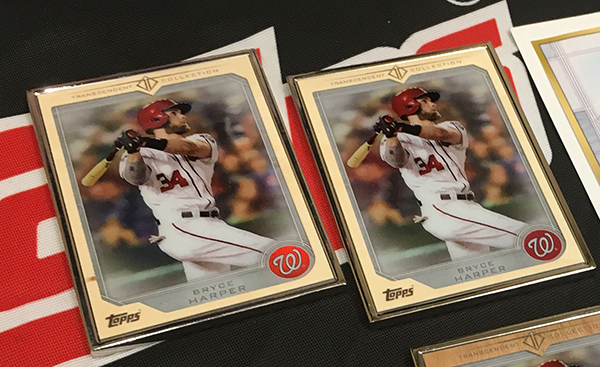 All 2017 Topps Transcendent Baseball cuts are one-of-ones. Last year, Kris Bryant showcased Topps’ history in baseball cards with a series of one-of-one autographs. For 2017, it’s Aaron Judge’s turn. 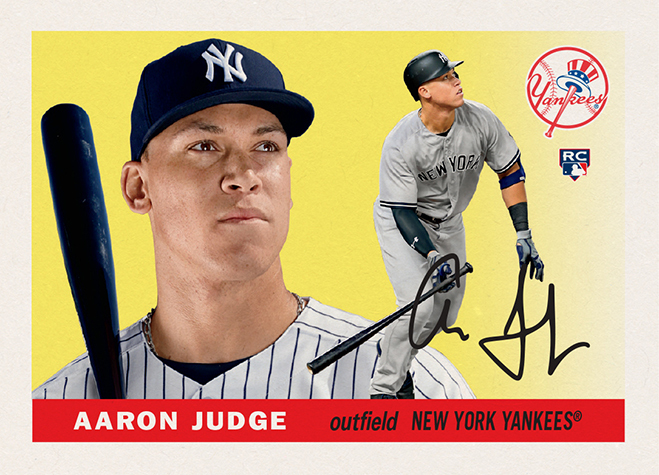 Each case comes with a one-of-one signed card featuring the 2017 American League Rookie of the Year done using a design from Topps’ past. 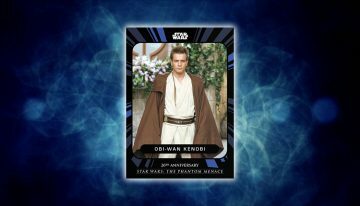 However, with 87 cases this time, it’s more than just flagship base card designs that are being used. 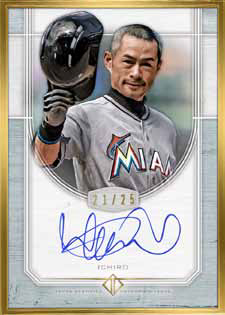 2017 Topps Transcendent Baseball adds another one-of-one autograph. 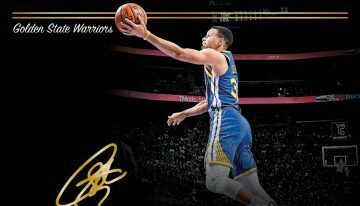 These come in three forms, all revolving around a common theme: MVP Cut Signatures, MVP Autographs and MVP Dual Autographs. Landing one per case, each has just one copy. 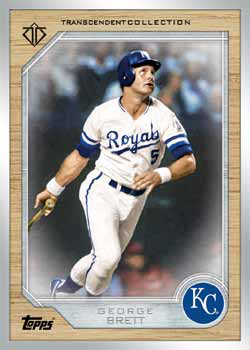 Original art returns once again in 2017 Topps Transcendent Baseball. 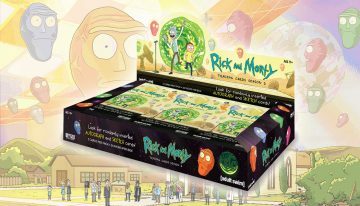 Each case either has an original sketch card with artwork from Dan Bergren or a baseball with artwork from Mayumi Seto, the artist from 2016 Transcendent, or Monty Sheldon. 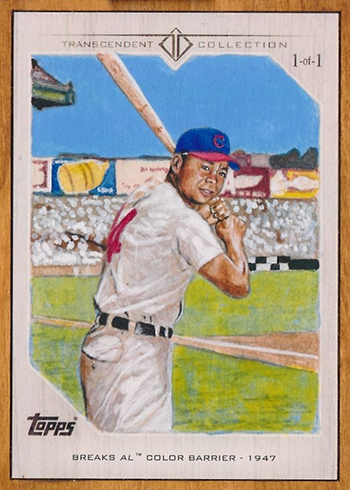 Baseball Moments Sketch Cards all have original artwork done on them by Bergren. 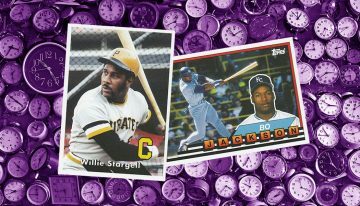 Rather than classic baseball cards from Topps’ past, this time around the focus is big baseball moments. A full set of sketch card reproductions is also included in each case. 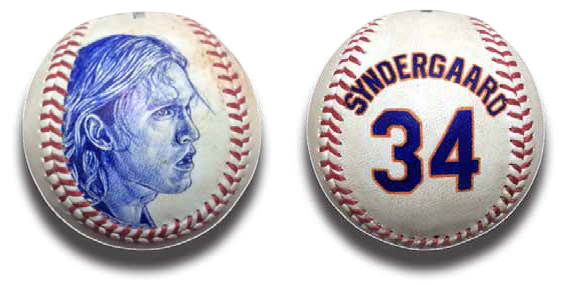 Seto and Sheldon’s baseball sketches are done directly on a ball. 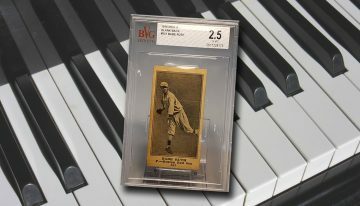 In addition to the art, each comes with an MLB Authentication hologram. 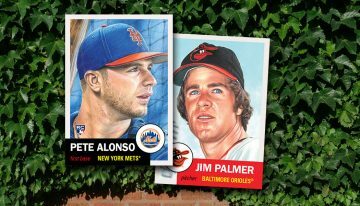 Yes, 2017 Topps Transcendent Baseball has a base set, which is dubbed Transcendent Icons. 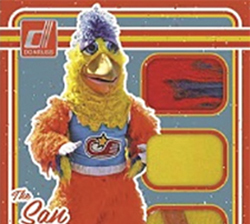 The design is an homage to 1987 Topps Baseball and its woodgrain borders. 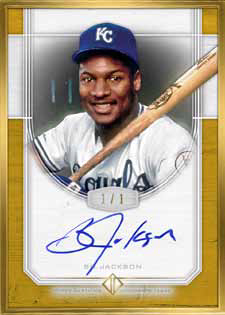 However, instead of just a wood print around the border, 2017 Topps Transcendent Baseball Icons base cards use actual wood borders. 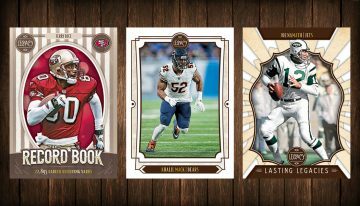 Previewed at the 2017 National Sports Collectors Convention in Chicago, these are held in by metal frames. 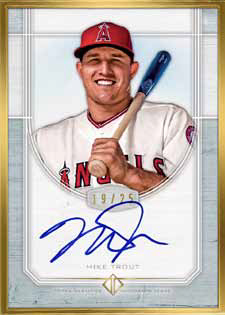 Each Icons base card is numbered to 87 copies, matching the number of cases produced for 2017 Topps Transcendent Baseball. 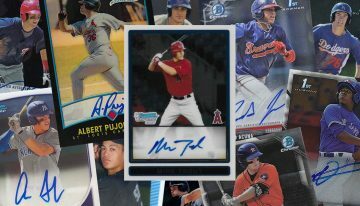 2017 Topps Transcendent Baseball cases are topped off by a VIP party invitation. Hank Aaron is the special guest at the Atlanta event, which also includes a dinner and giveaways. 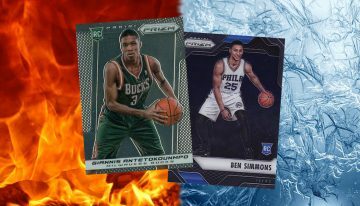 Last year’s party included some big-name exclusives and other rare cards. Although it’s up to collectors to get to Atlanta, accommodations are included. 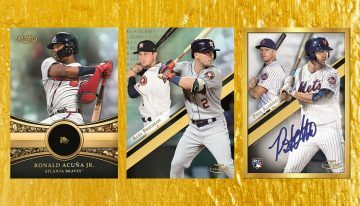 More details on the 2017 Topps Transcendent Baseball checklist will be added as they’re released. 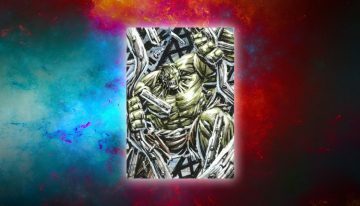 1 complete set per case. 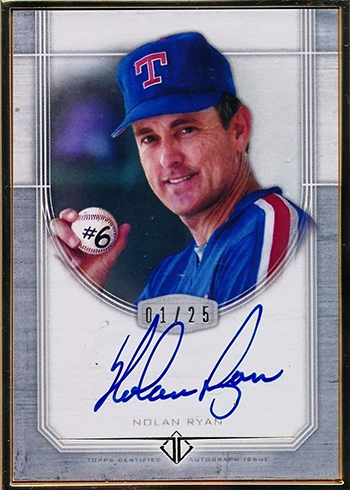 Every case includes a Bellinger and Seaver redemption as well as either a Happ or Vonn autograph. All Bellinger, Seaver, Happ and Vonn autographs are considered to be bonus autographs, added above what was originally promised. 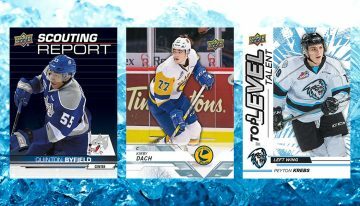 1 full set per case. 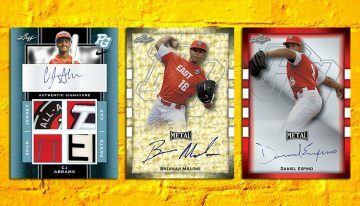 Want to know what cards your favorite team has in 2017 Topps Transcendent Baseball? Here’s the checklist broken down by team. Scroll through or click below to go directly to that team. MLB Moments Sketch Card Reproductions MLBM-CR Cal Ripken Jr.
MLB Moments Sketch Card Reproductions MLBM-CRI Cal Ripken Jr.
MLB Moments Sketch Card Reproductions MLBM-KG Ken GriffeyJr. MLB Moments Sketch Card Reproductions MLBM-KGR Ken GriffeyJr. 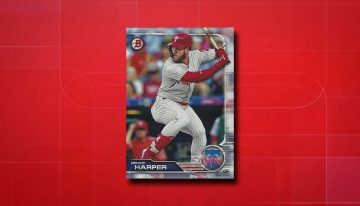 The Milwaukee Brewers do not have any cards in 2017 Topps Transcendent Baseball. 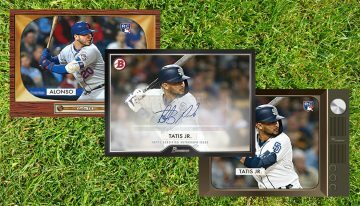 The San Diego Padres don’t have any cards in 2017 Topps Transcendent Baseball. I was wrong last year, some people were able to buy the sets and actually turn a small profit because of the party invite. 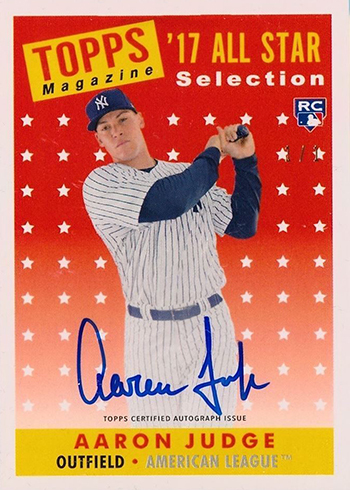 I think Topps made mistake by not doing Aaron Judge though instead of Hank Aaron. 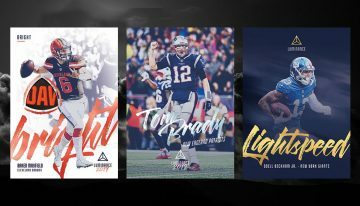 The making of image variations is, quite frankly, an awful idea unless the sets come in an all “A” or “B” version. 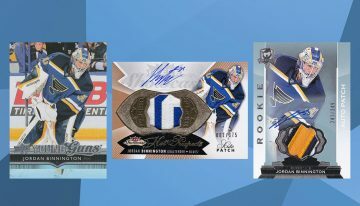 I do like the product because they do tend to get broken up and I expect there will be some nice autos available that I might be able to pick up relatively cheap compared to the cost of the product. 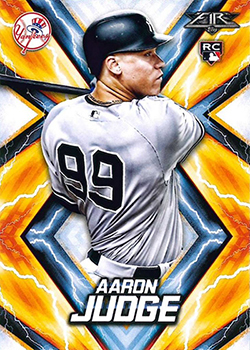 While Judge is hot this year, I think Topps made a mistake by producing more cases. 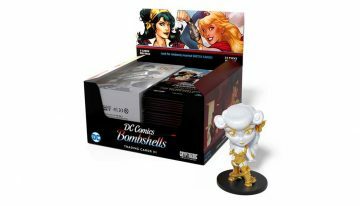 It’s a money grab, but it’ll be interesting to see if non-Judge cards hold up on the secondary market. 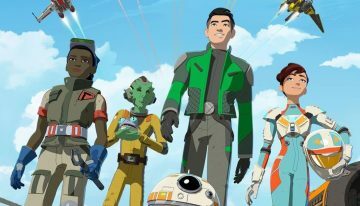 And some of these designs are lazy. The baseballs look nice though. 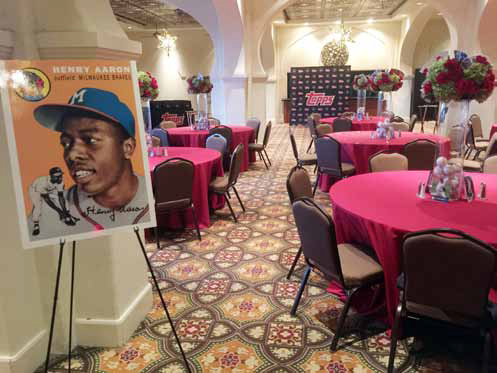 I hope Topps found a 20-year fountain of youth water to serve Aaron or at least serve Aaron auto buybacks to VIP party guests. I cry everytime I see Aaron’s auto nowdays because you can see the progression of it getting worse. 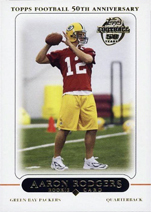 If I ever purchase an Aaron auto, it’d be a card from decades ago when the auto was cool. 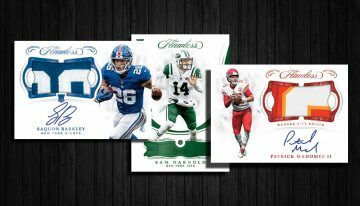 Nice cards but again…..time to consolidate the high end brands….they’re technically all the same…..
Let’s see for $25,000 I can buy a car that will decrease in value but still get me to where I need to, like work. 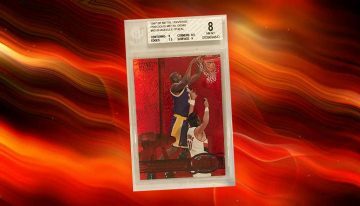 Or buy a box of 50 cards that will drastically decrease in value. I’ll get the car. Last year, this product literally transcended quality, as I remember that some of the cards were coming unglued…literally. Not a good look for a super premium product that will not hold it’s value. @goblue — Not sure what that has to do with 2017. Is it a problem again? How do we know which cards are Image Variation? @Ryan Cracknell, I don’t know if it’s a problem this year, but my point was, for the price point that these are sold at, there should be 0 quality issues to begin with. 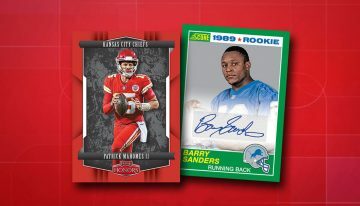 Combine that with the fact that they don’t hold the value they should on the Secondary market makes these cards not a good buy. @goblue I get it to a certain extent. It was embarrassing for it to happen last year. 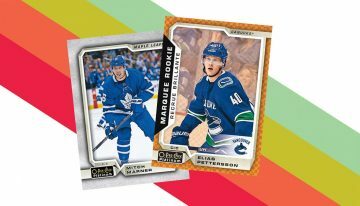 But it appears to be fixed this year so should cards falling out of frames be held against the 2017 product? 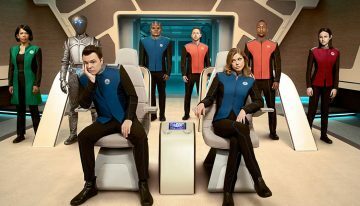 @Ryan Cracknell, They should not be held against the product for 2017. 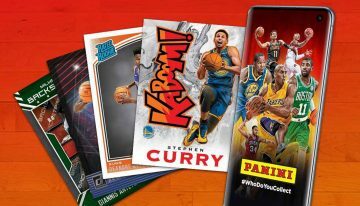 It’s just that the quality control of the card companies should get a whole lot better in general, but won’t because they are busy putting out way too many brands each year.